They don't get any more exotic than this! 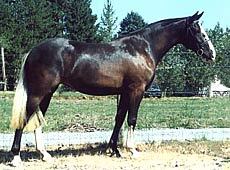 Gorgeous black 1/2 Clydesdale 1/2 TB cross mare with a white—yes white—tail. 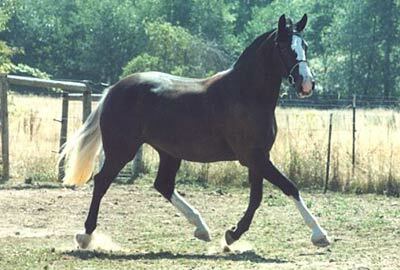 Beautiful movement for dressage or hunter. 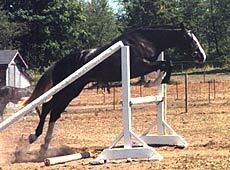 Has free jumped with good form. First class prospect for serious competitor. 60 days under saddle.